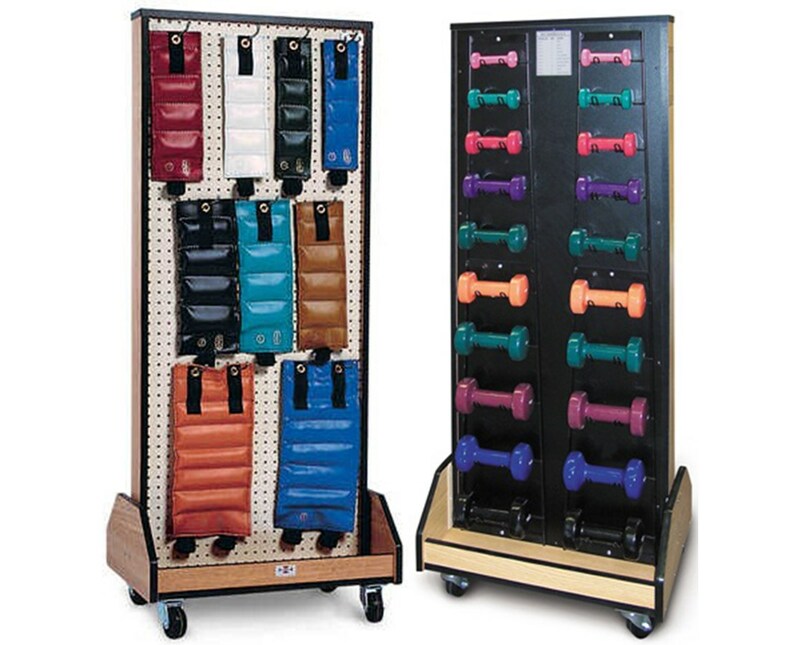 The Hausmann Industries Mobile Weight and Dumbbell Rack is a storage device designed for easy storing of weights and dumbbells. 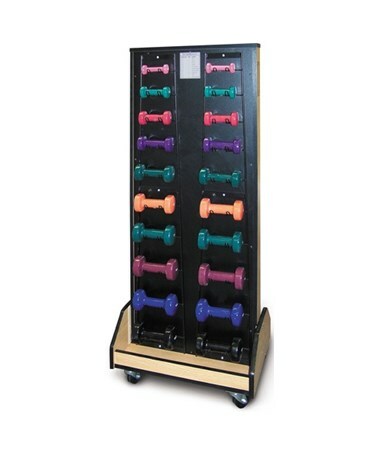 Because of the versatility it offers, it makes a great choice for any exercise area, physical therapy or rehabilitation facility that needs a variety of weights depending on the patients need. 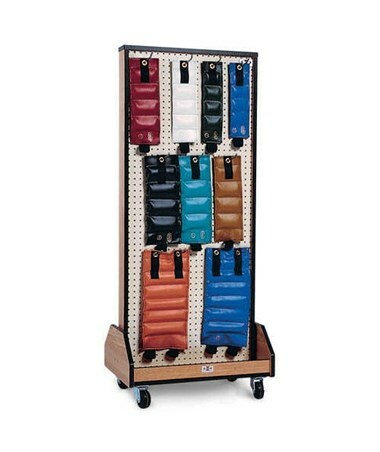 The Rack's base and frame are made with oak laminate and include an almond pegboard panel with eleven hooks for Hugger® Weights in the front while a black laminate panel with twenty dumbbell hooks in the back. 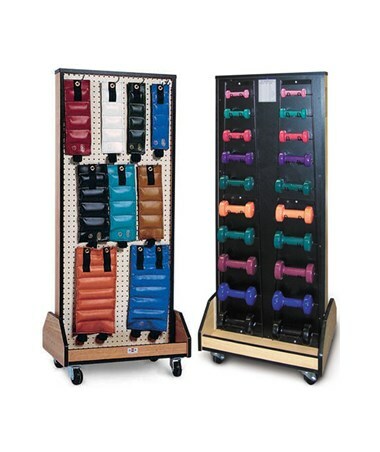 It features 3" diameter swivel casters for hassle-free movement around the facility.